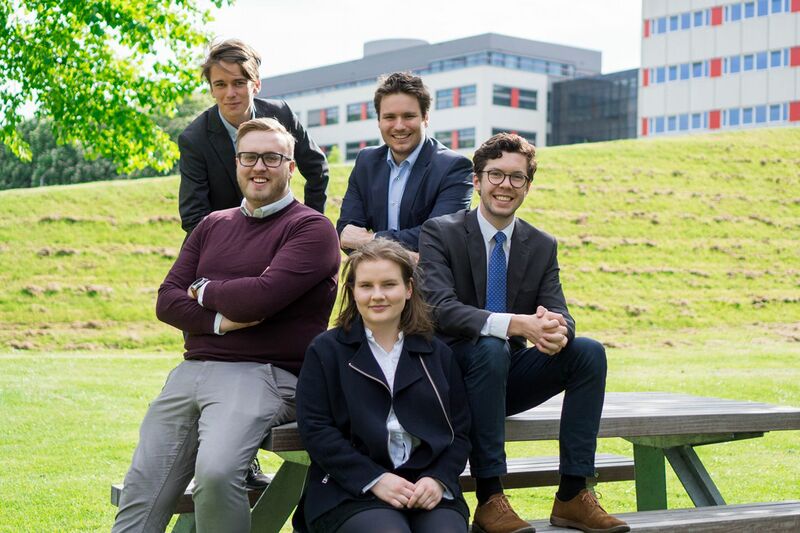 We, Jurgen van Heertum, Thomas Vaessen, Willem Sisselaar, Thijs Mijnhout and Rebecca Kavanagh are running for the University Council. As representatives of NovUM, we are proud to be part of Maastricht’s most active student party and to be able to play an important role in improving your student life. With 15 years of experience and being the only party active at each faculty, we truly represent every student of UM in the University Council. For many years we have seen a lack of study spaces at our university. Now that the Tapijn area has been acquired by UM, a strong focus should be placed on creating additional study spaces. As development of this area is ongoing and plans are being negotiated, NovUM strives to make sure that not only additional study spaces are included in these plans but also we would also like to see Tapijn become a central meeting place for students – creating the long-needed bridge between students from the Inner-City and Randwyck Campus. With an eye on the current strategy to be energy neutral by 2030, sustainable development of this area is equally crucial to NovUM. Within Dutch Higher Education institutions, there is currently an experiment called “Flexstuderen”. This means that instead of paying an annual tuition fee, students pay for each ECTS credit. This provides students with the necessary flexibility to focus on their personal development. Since the experiment has proven to be successful, the Minister is keen to allow more institutions to participate. NovUM will push strongly in the University Council in order to make sure UM will be one of those. The current catering by Albron has proven to be dissatisfactory; prices are too high, quality often is too low and there’s an overall lack of variety/choice. Now that the current catering contract is coming to an end NovUM would like to see a caterer that is able to offer a proper balance between price, quality and sustainability at every UM location. Maastricht has many students initiatives which try to make the community at large a better place. As such we find that the University should take a proactive stance in promoting these initiatives which are being taken by our fellow students. We would like to see all these initiatives in the Student Portal under a new section “My Student Life”. We want our university to improve so that you get the tools you need to get the best out of your studies. Yet we cannot do that without your help: vote NovUM for University Council and help us make a change! FLTR: Willem Sisselaar, Jurgen van Heertum, Rebecca Kavanagh, Thomas Vaessen & Thijs Mijnhout.